If you've already picked up the May 2011 issue of Self Magazine, you may have seen WeekendKits.com mentioned in a monthly feature called SELFy Stars. In the feature, Self asks stars "How do you stay sunny?" Elisha Cuthbert responded by saying "Painting has always been a second source of creativity for me..."
Unleash your inner Picasso with a Learn to Paint Kit from WeekendKits.com ($26). 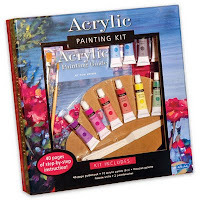 Acrylic, oil and watercolor sets come with materials, an illustrated guide and suggested projects. Arts and crafts for grown-ups, in a box! Since the magazine's release, many Self readers have been stopping by to select their favorite Learn to Paint Kit. 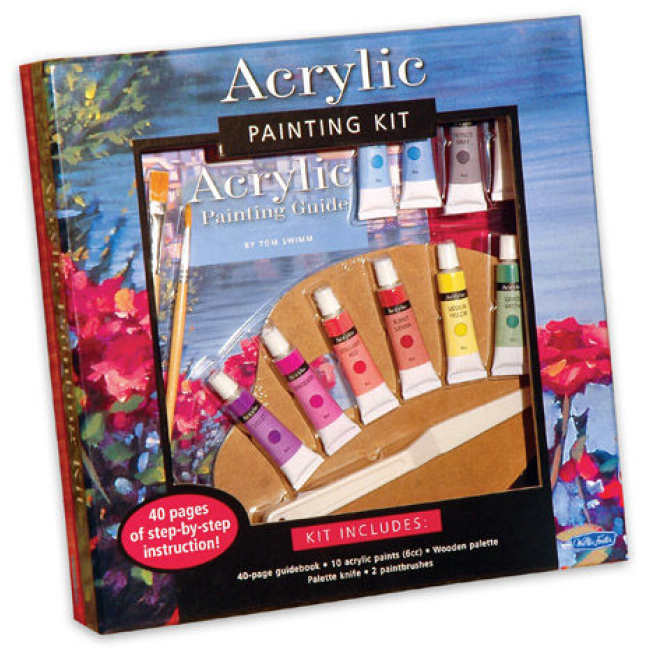 The Acrylic Painting Kit has been the most popular so far. These creative art kits from Walter Foster include everything a beginner needs to learn how to paint. The artful packaging makes them a nice gift giving idea too. You can see our complete selection of art kits in the Paint & Draw Art Kits section of the store. It was very exciting to see our store recognized in this reputable magazine. Thank you SELF! Stop by Weekend Kits today and be ready to "unleash your inner Picasso" on your next Weekend at Home! Fabric Panel Sewing Kits - Another May Giveaway! DIY Quilt Kit Giveaway at Weekend Kits!